Our Master and Creator subḥānahu wa ta'āla (glorified and exalted be He) has provided us with some advice in the Qur’an on how we can respond to the tests that He will send. Allah subḥānahu wa ta'āla (glorified and exalted be He) teaches us how we can prepare for those tests. It is taqwa that you should carry with you every step of the way because it will give you the strength to bear the tests that Allah subḥānahu wa ta'āla (glorified and exalted be He) will place upon you to test your faith and strengthen your imaan and maybe even, raise your status with Him subḥānahu wa ta'āla (glorified and exalted be He). Taqwa here means to have an elevated consciousness of Allah subḥānahu wa ta'āla (glorified and exalted be He), to be constantly aware that He is watching over you at every moment. With this awareness comes a desire to please Allah subḥānahu wa ta'āla (glorified and exalted be He) even in moments of distress. When your buttons are pushed, you control your emotions and act rationally with patience. What gets neglected often, however, is preparing for the moments in which you have the opportunity to make lots of dua and adhkar. There will be no shortage of these situations, because they will present themselves throughout the trip. For example, tawaf and sa’ee are times of making lots of dua and lots of dhikr of Allah subḥānahu wa ta'āla (glorified and exalted be He). There will be idle moments you have in between the fardh (obligatory) prayers. Even while traveling between locations, sitting on a bus or waiting at the airport, there are idle times that can be utilized. 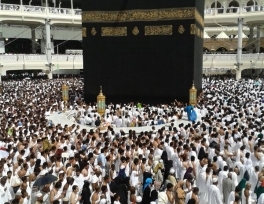 As part of your Hajj preparations, factor in these precious moments that you will have. Try to memorize as much of the dua you want to recite as possible and thoroughly understand its meaning. So, when you are in front of the Ka’bah doing tawaf, or performing sa’ee or even in your nawafil prayer, the dua will come from the heart. The words you recite will reflect the emotions in your heart. When you are calling upon your Master, your heart calls out too. You won’t get this level of spiritual connection by reading from a book of adhkar that you don’t know the meaning of. However, it’s certainly recommended to repeat the supplications which the Prophet ṣallallāhu 'alayhi wa sallam (peace and blessings of Allāh be upon him) taught us. Arafat is Hajj. This is the pinnacle of your pilgrimage. This is why you spent thousands of dollars on this trip and exhausted your vacation days for the year. This is the day in which you come to Allah subḥānahu wa ta'āla (glorified and exalted be He) humbled in the simplest of dress, standing in a barren desert, disheveled, with your hands outstretched, pleading with all your emotions hanging out. Between Dhuhr/Asr (because you will combine these prayers) and Maghrib, is time for you and Allah subḥānahu wa ta'āla (glorified and exalted be He). Find your own comfortable spot, away from any distractions that might disrupt your dua. This is where you want to make dua for all the things you desire for yourself and your loved ones, both in this dunya and in the akhirah. This is the time where you want to make istighfar, like you’ve never done so before. And this is the time where you want to feel connected to Allah subḥānahu wa ta'āla (glorified and exalted be He). Performing Hajj and Umrah is a commemoration and remembrance of the great sacrifices made by Prophet Ibrahim 'alayhi'l-salām (peace be upon him) and his family. These sacrifices were so important, that Allah subḥānahu wa ta'āla (glorified and exalted be He) chose to preserve them until the Day of Judgment through the Qur’an and through these rites of worship. When performing your Hajj and Umrah obligations, try to develop a deep connection to Prophet Ibrahim’s story. It will give greater purpose to the ritual actions. For example, when you are doing sa’ee, reflect upon when Prophet Ibrahim 'alayhi'l-salām (peace be upon him) left his wife Hajar and son Isma’il alone in a barren, uninhabited desert without sufficient food. Isma’il began crying out of hunger, forcing Hajar to seek out water in the desert. She ran frantically back and forth between Mount Safa and Marwa desperately in search of water. And then suddenly by the will of Allah subḥānahu wa ta'āla (glorified and exalted be He), the water of the Zam Zam well sprouted out from the ground, and an abundance of water became available. Eventually, the city of Makkah was gradually established around this water source. 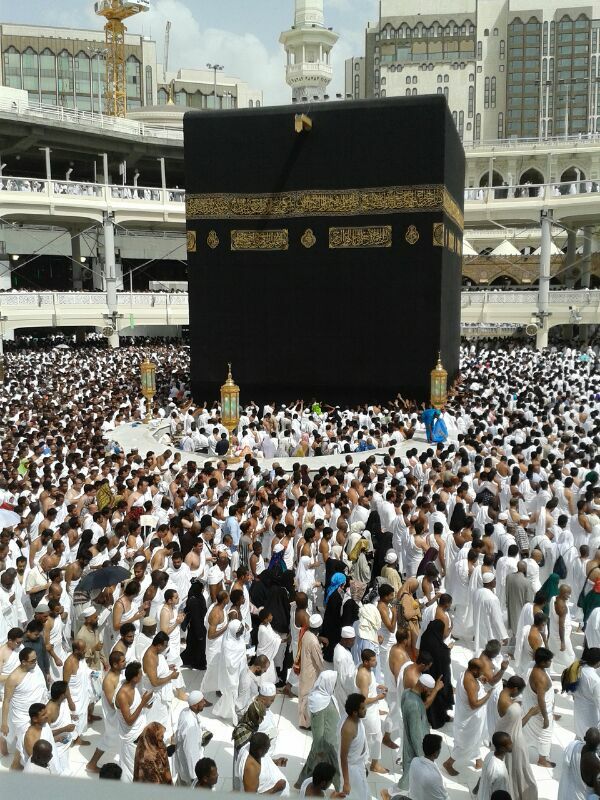 As you are performing sa’ee, try to recreate the desperation that Hajar had when she was moving between Safa and Marwa. Call out to Allah subḥānahu wa ta'āla (glorified and exalted be He) with the sincerity, humility and desperation that Hajar showed. Just like Prophet Ibrahim 'alayhi'l-salām (peace be upon him) did, we should ask Allah subḥānahu wa ta'āla (glorified and exalted be He) to accept the efforts we are putting in for our Hajj and Umrah. During the days of Mina, ponder over the story of Prophet Ibrahim’s 'alayhi'l-salām (peace be upon him) dream where Allah subḥānahu wa ta'āla (glorified and exalted be He) instructed him of the mighty task of slaughtering his son Isma’il as a sacrifice. Without any hesitation, he proceeded to honor the command of Allah subḥānahu wa ta'āla (glorified and exalted be He). On his way, shaytan tried his utmost best to influence him to not carry out the command. When you proceed to perform the stoning rituals during Hajj, reflect upon Prophet Ibrahim’s 'alayhi'l-salām (peace be upon him) situation as he was about to slaughter his son, and how he fought off the influence of shaytan. Reflecting upon these incidents and what it might have been like for Prophet Ibrahim 'alayhi'l-salām (peace be upon him) and his family during those times, will bring an added sweetness to performing these rituals. Allah subḥānahu wa ta'āla (glorified and exalted be He) says “And remember Allah during the [specific] numbered days” [Qur’an: Chapter 2, Verse 203]. According to many interpretations of this ayah, the days referenced here are the Days of Tashreeq. These are days designated for celebration and worship, days in which we can enjoy eating, drinking, and relaxing. However, don’t lose sight of the instruction in the ayah: to remember Allah subḥānahu wa ta'āla (glorified and exalted be He). When coming out of the state of ihram for Hajj, it is a joyous occasion. The preceding days were strenuous and tiring, so it’s a relief to come out of the state of ihram and be in your comfortable clothes again. It’s key to balance the time during your remaining days in Mina with the remembrance of Allah subḥānahu wa ta'āla (glorified and exalted be He). The people around you may get caught up in a lot of relaxation and merriment. Remain patient and have taqwa of Allah subḥānahu wa ta'āla (glorified and exalted be He) during these days, and try to dedicate long periods of the day for remembering Allah subḥānahu wa ta'āla (glorified and exalted be He). May Allah subḥānahu wa ta'āla (glorified and exalted be He) bless your Hajj journey and may you have an accepted Hajj (Hajj Mabroor). Ameen!